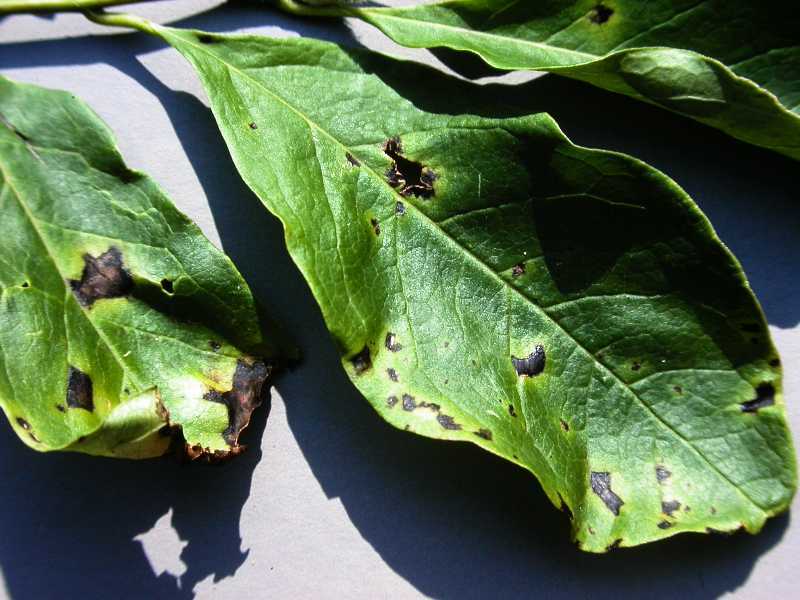 General Recommendations: Bacteria that cause leaf and flower spots, blights and fruit rots are ever-present in the environment. 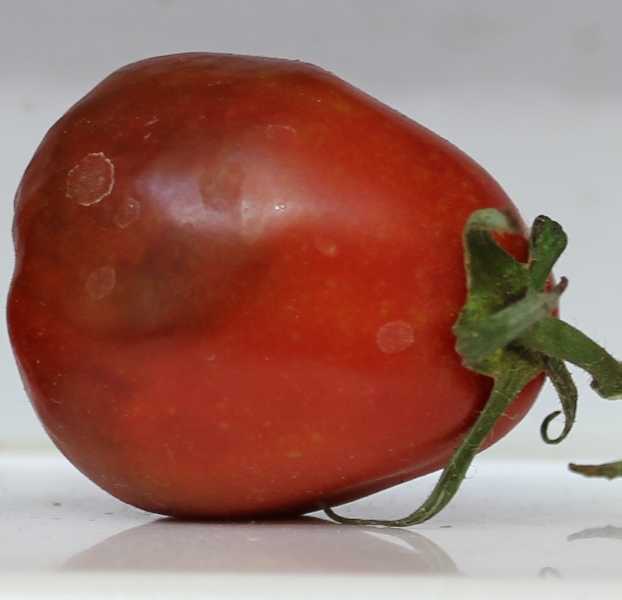 They survive in diseased plant debris from one year to the next and are transferred to new plants by wind, splashing rain, flowing water, contaminated soil and insects. 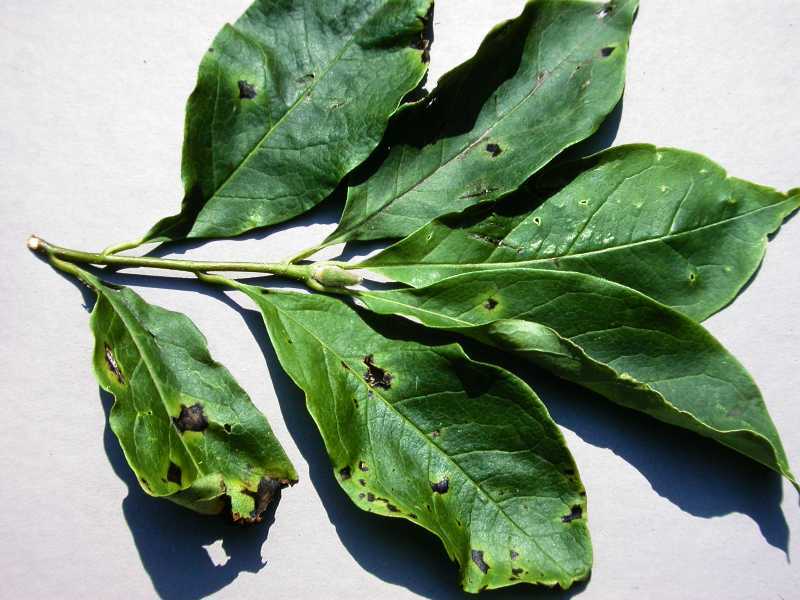 Since bacteria typically require a wound through which to enter and infect a plant part, anything that can cause injury to plants, including abrasion by blowing sand, hail, pruning cuts and other tools, are commonly associated with bacterial infections. 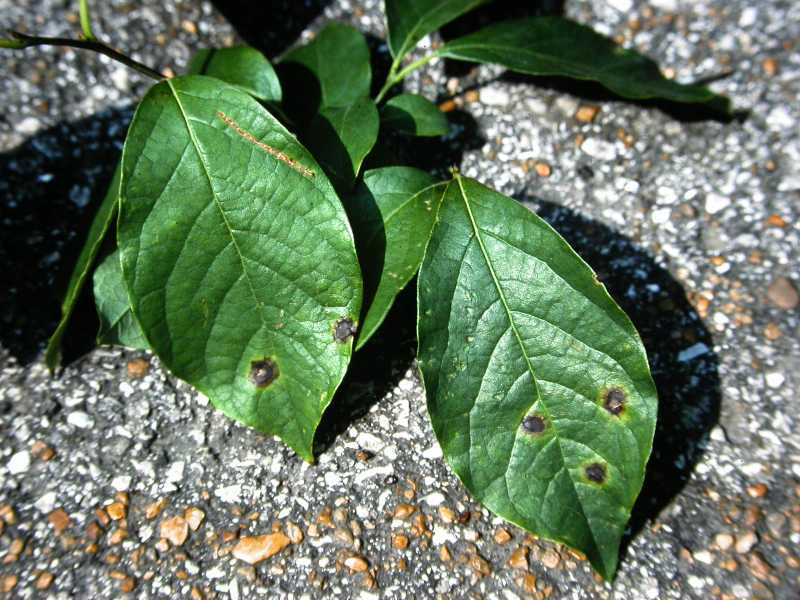 In some cases, natural openings in the leaves (stomata and hydrathodes), flowers (nectaries), and stems (lenticils) can serve as entry points for bacteria. Symptoms of bacterial infections vary with the host. 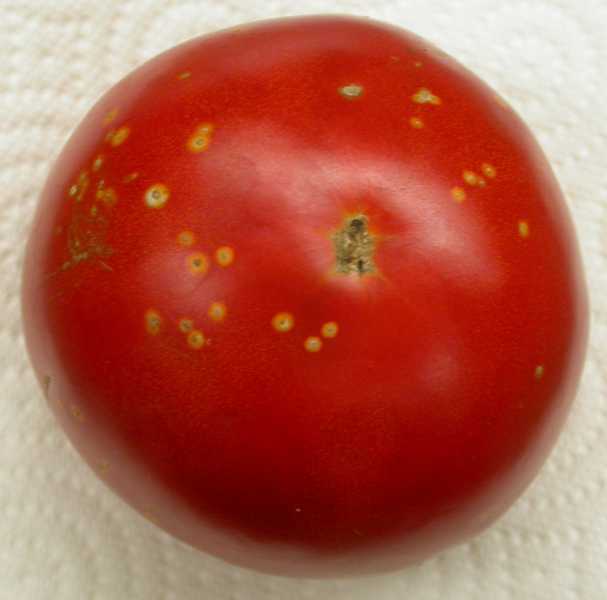 A general symptom that indicates that bacterium is involved is the presence of a yellow halo surrounding a tan to dark brown lesion. 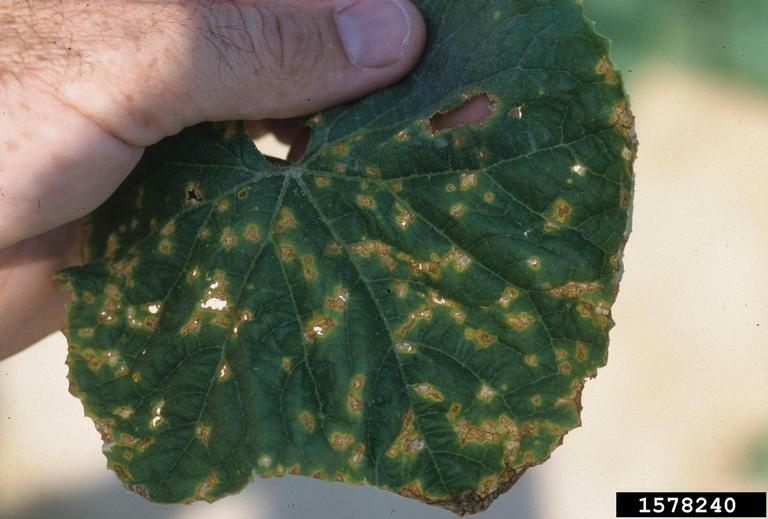 This symptom is not always present when bacterial spots and blights occur, but it is a positive indication when present. Systemic infection can also occur when roots are damaged and bacteria enter, traveling up the stem in the water- or nutrient-conducting tissue. 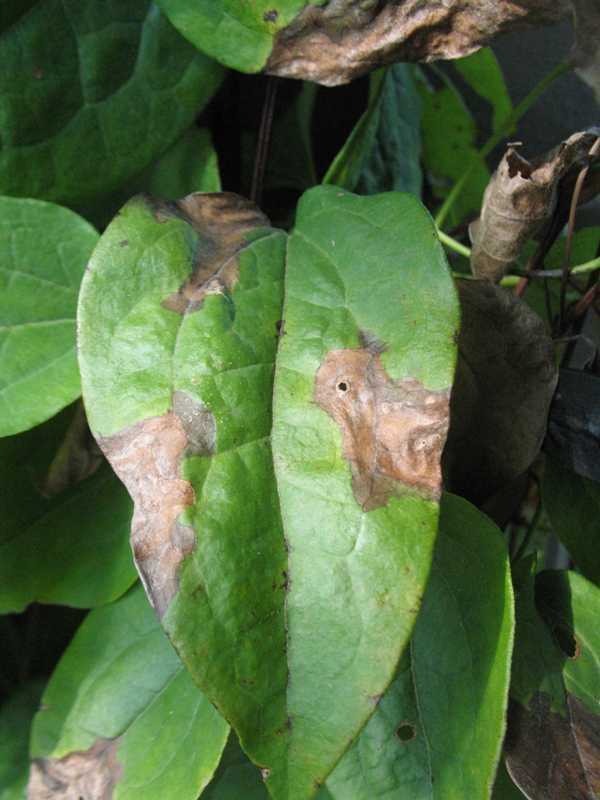 Leaf spots and blights result from a more localized infection. 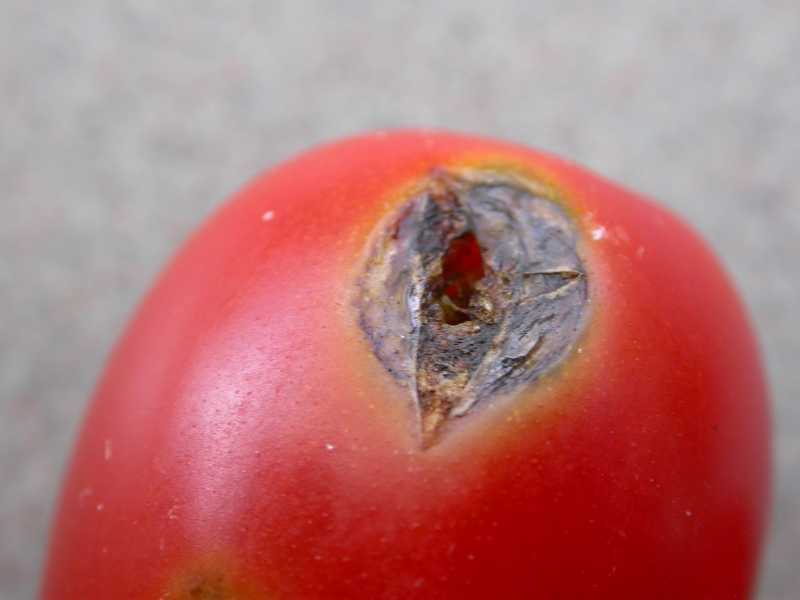 Rots occur when fleshy tissue is broken down by the action of rapid bacterial development. The progressive deterioration of rotting tissue typically leads to offensive odors which are also diagnostic of a bacterial infection. 1. Clean up diseased debris. 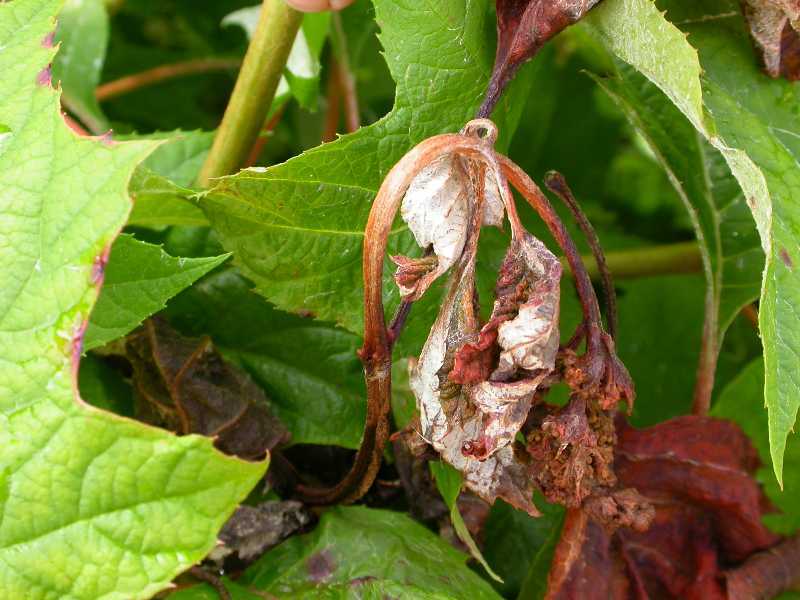 With a few exceptions, bacterial plant pathogens survive from year to year because they are protected in plant debris, including leaves, stem and roots that they infest. Since the ability of bacterial pathogens to move from place to place is limited, eliminating diseased debris is a primary factor in reducing the incidence of disease. This debris should be removed from the garden and buried or discarded. 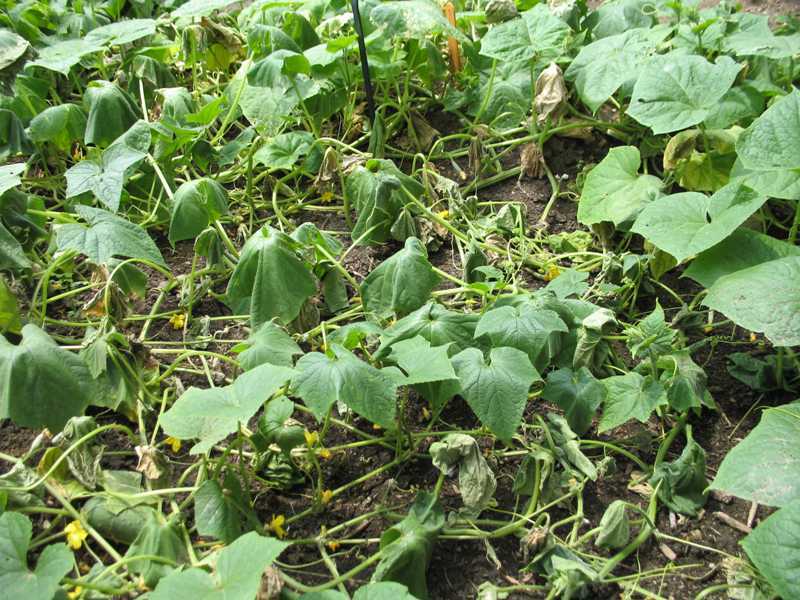 In addition, turning the soil over to bury any debris that cannot be picked up is also an important step in reducing the chance of disease spread. Buried debris will eventually decompose and decrease the viable population of bacteria. Composting infested plant material is not advised. 2. Remove infested plant parts. 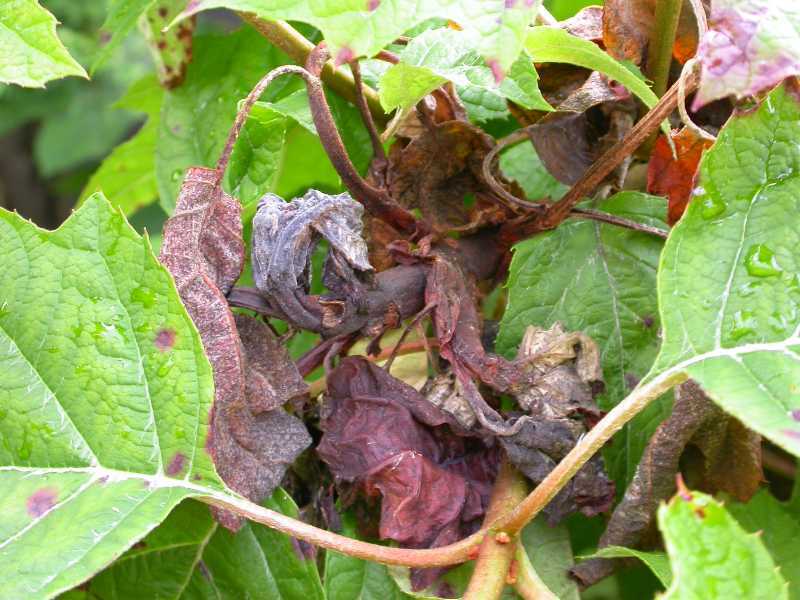 Bacterial infections, discovered during the growing season, should be removed from the plant. Use clean tools as the use of contaminated tools can exacerbate disease spread. Disinfect tools between cuts by dipping them in rubbing alcohol or a solution of 1 part bleach to 4 parts water. When finished, clean the tools and wipe with an oiled rag to lubricate the parts and discourage rust. 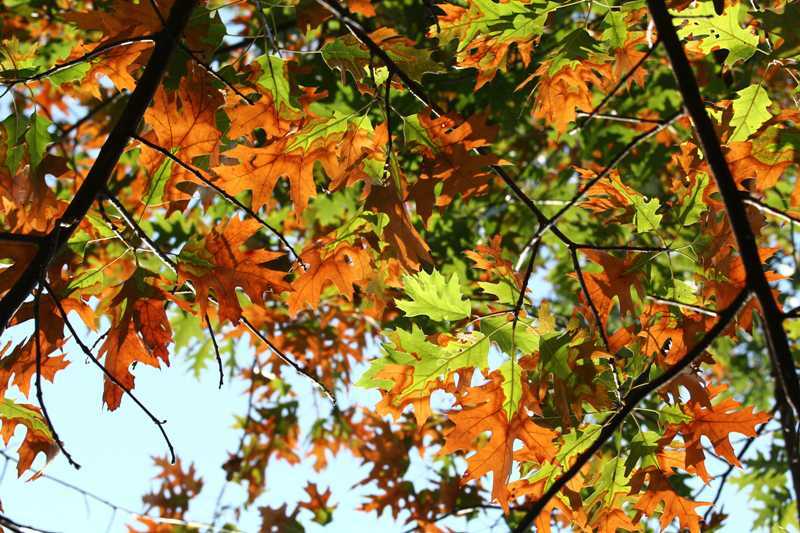 Avoid extensive pruning during wet or humid weather when the bacteria can be easily transmitted to and enter wounds. 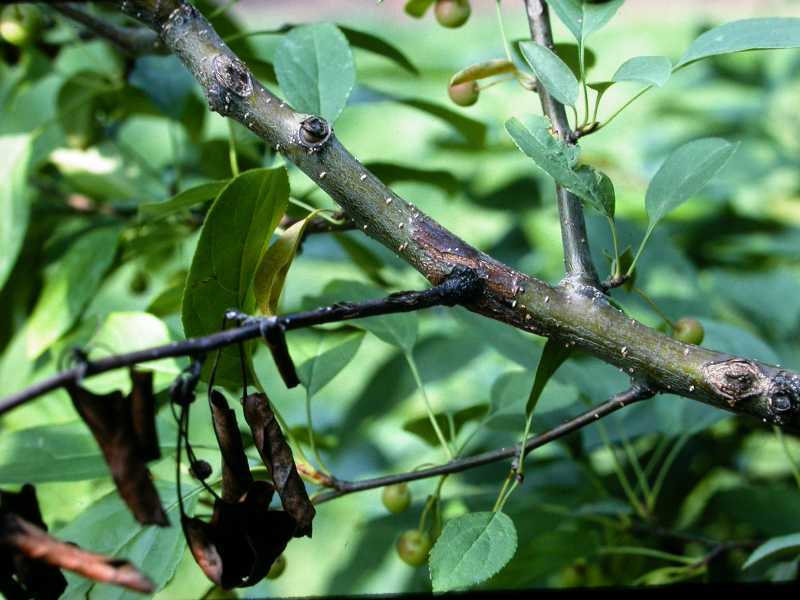 When seeking to reduce the spread of bacterial diseases, such as fireblight, Midsummer or fall pruning is preferred to spring pruning. 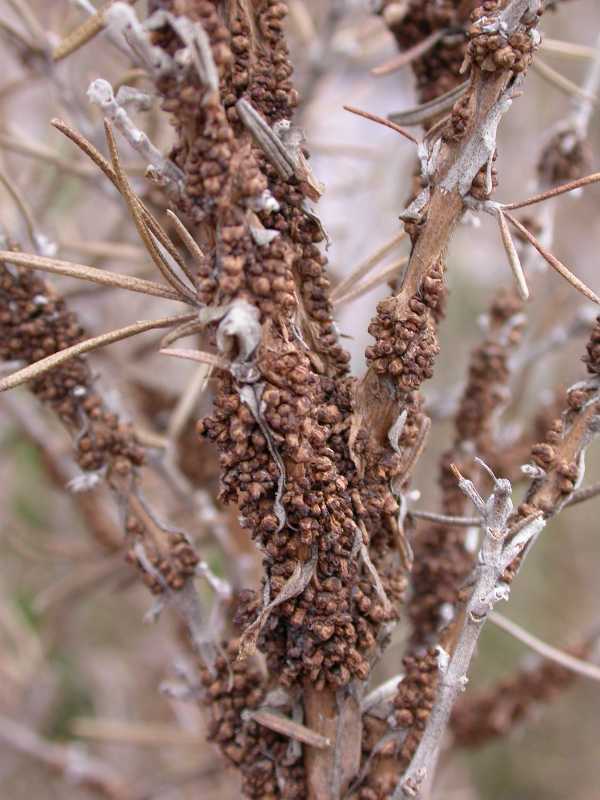 An occasional affected branch on an otherwise clean plant can be pruned almost anytime. Prune 6 -12 inches behind the affected area. 3. Mulch. 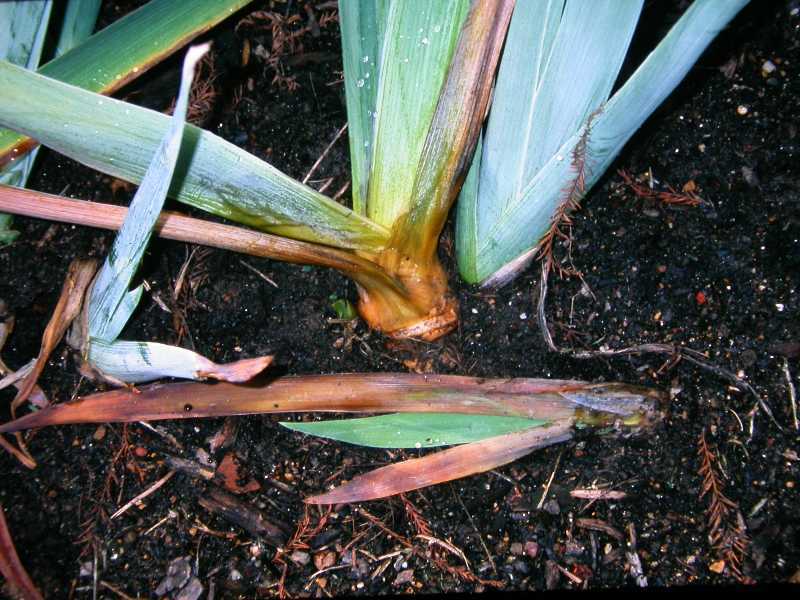 Since infested debris must be exposed to splashing rain in order for bacteria to be moved to a new infection site covering the soil around the plant with a layer of leaf mold or compost which buries the debris will help to prevent the spread of bacteria to new plants. Mulch also buffers the soil from extreme moisture loss, reducing the amount of stress during drought conditions. 4. Avoid overhead watering. 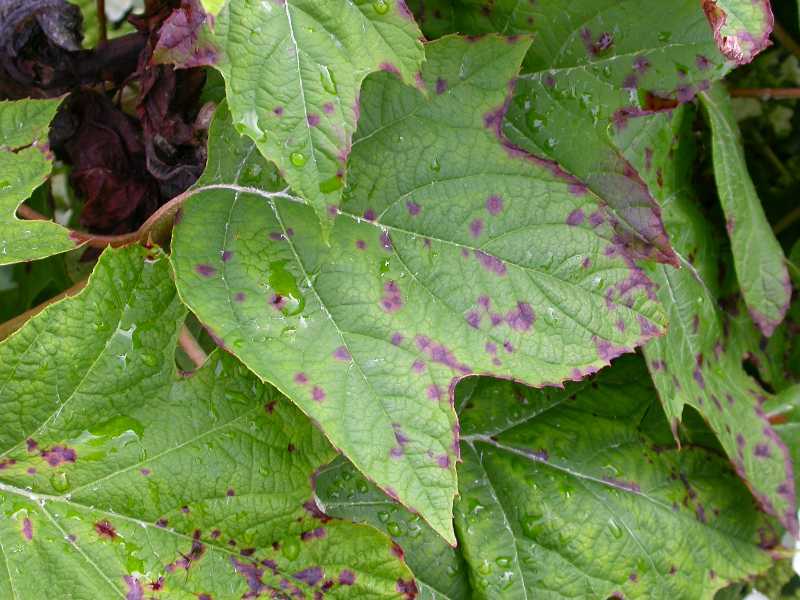 Splashing rain or water is the primary vehicle that transfers bacterial pathogens around a plant or to a new host plant. 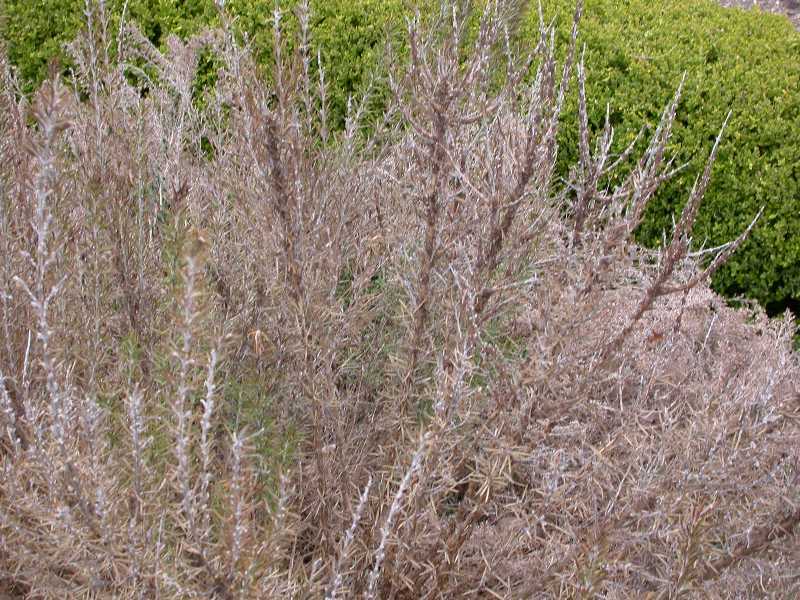 Reducing the amount of overhead watering lessens the chances that the bacterial inoculum will be spread both from plant part to plant part and from the soil, where infested debris may reside, to the plant. 5. Rotate crops. 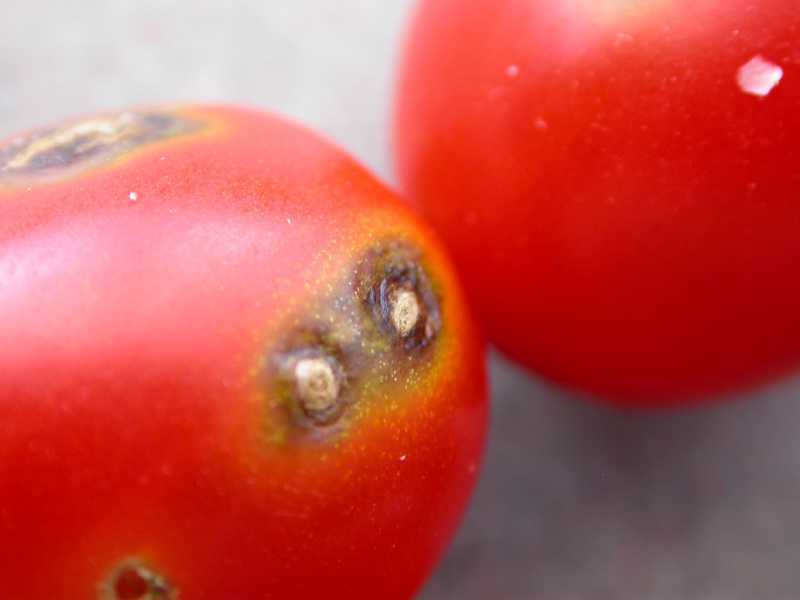 Since bacteria populations tend to build up on diseased debris if the same plants are grown in the identical location year after year rotate unrelated vegetable and flowers in and out of a garden planting site each year. 6. 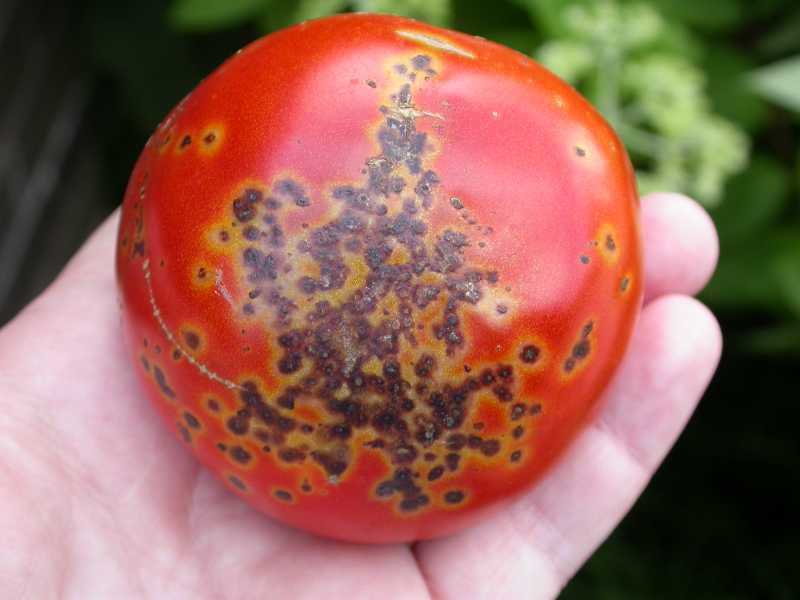 Apply a bactericide. Except for copper and streptomycin sprays, which can not be used on all plants, there are few materials available that are effective in controlling bacterial diseases. 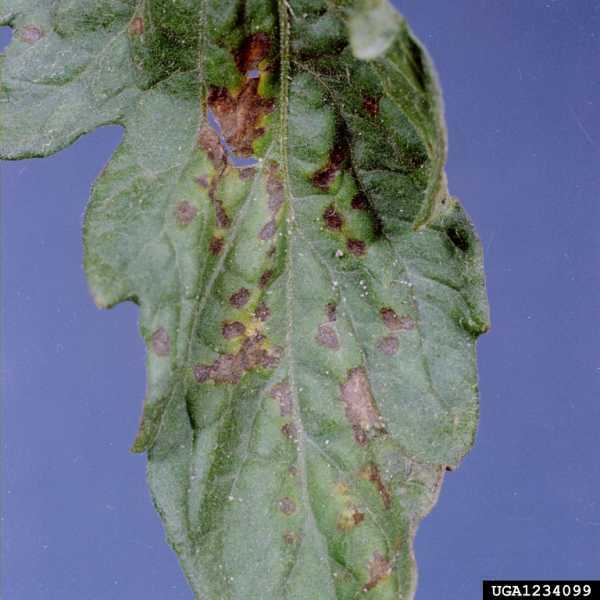 And, even these bactericides provide limited insurance when a plant has open wounds and are ineffective after infection has occurred. Consequently, disease prevention is the most important initial step. 7. Use clean seed. 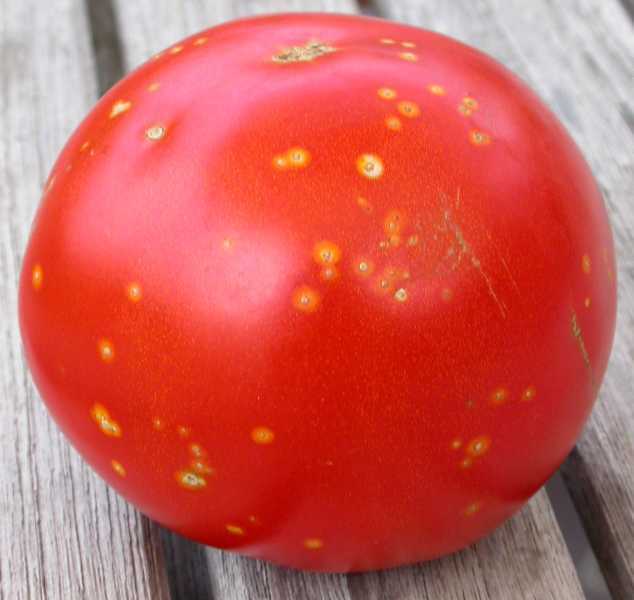 Some bacterial pathogens can be introduced via seed where they reside either as contaminants on the outside of the seed coat or in wounds. 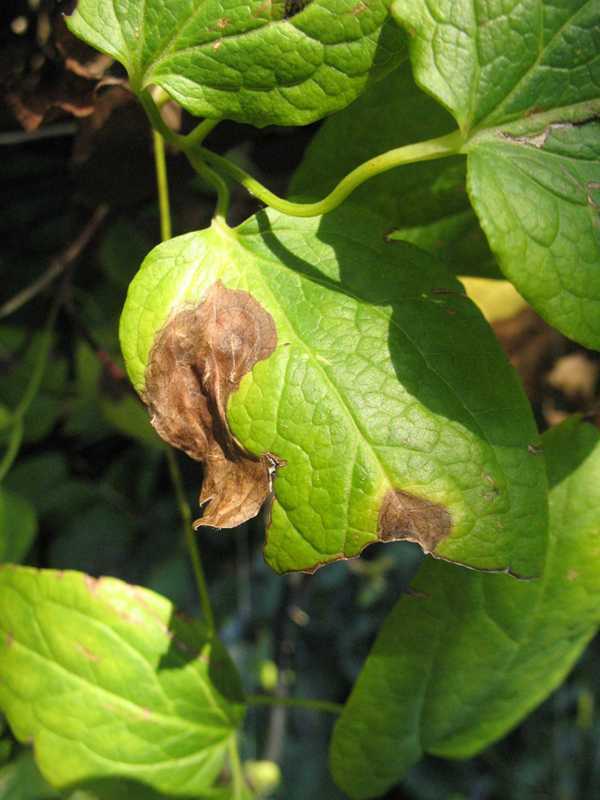 Discard shriveled and discolored seed. 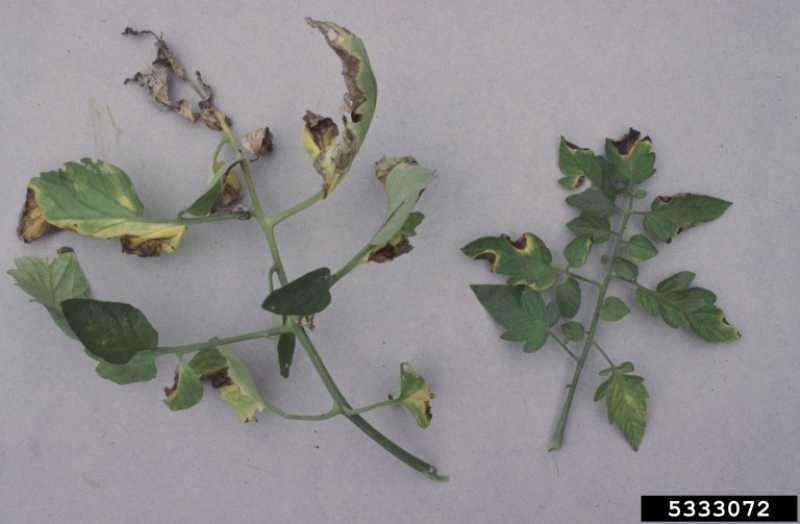 Seed treatments have limited value. 8. Select resistant cultivars. 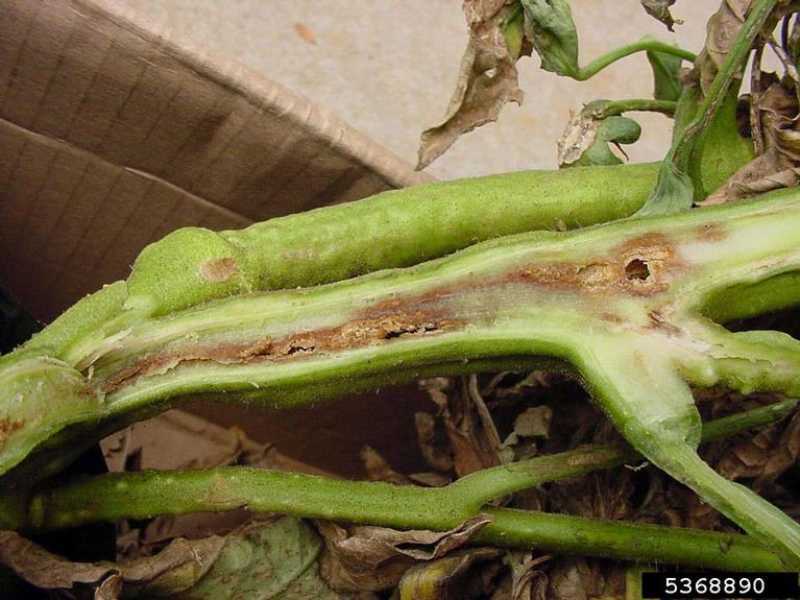 Resistance to bacterial diseases is a common goal of vegetable and herbaceous plant breeders. Always select resistant cultivars when they are available, especially when growing plants in humid environments.